From web filtering and anti-malware scanning to deep content inspection and granular control over how Web 2.0 sites are used, McAfee Web Protection combines the security, control, and deployment flexibility you need. McAfee Web Protection offers all the features of McAfee Web Gateway and McAfee SaaS Web Protection. Ultimate deployment flexibility — Deploy on location with appliances, in virtual environments, or in the cloud, or combine options for added deployment flexibility and high availability. Advanced security — McAfee Web Protection layers numerous threat technologies to provide the most in-depth web security available. From opening content and scanning active elements in real time with the McAfee Gateway Anti-Malware Engine to comprehensive signature-based coverage and web reputation, the McAfee Web Protection layered approach optimizes several technologies for the best combination of security and performance. Unified reporting — Advanced reporting aggregates data, regardless of delivery platform. It provides the information to illuminate how organizations use the web, helping to comply with regulations, identify trends, isolate problems, document inappropriate web activity, and tailor filtering settings to best enforce web usage policies. From web filtering and anti-malware scanning to deep content inspection and granular control over how Web 2.0 sites are used, McAfee® Web Protection combines the security, controls, and deployment flexibility you need. Whether you are looking for the control of an on-premises solution, the appeal of Software-as-a-Service (SaaS), or want a hybrid combination of the two, McAfee Web Protection empowers you to deploy your web security the way that best fits your current and changing needs. As the web continues to grow and evolve, webborne malware attacks grow and evolve as well, threatening networks and critical data. McAfee Labs identifies more than 100,000 new pieces of malware each day. As the level of risk continues to increase, organizations are demanding the best web security available to battle such growth. McAfee understands the security needs of today’s connected Web 2.0 world like no other vendor and offers the industry’s most effective, proven proactive web security. For the ultimate in deployment flexibility and to help future-proof your investment, McAfee offers all features of the McAfee Web Gateway and McAfee SaaS Web Protection solution in a single a solution: McAfee Web Protection. Deploy on location with appliances or in a virtual environment, in the cloud, or combine options for added deployment flexibility and high availability—the choice is yours. For example, organizations can offload portions of web traffic to the cloud during peak times for added high-availability performance or use this hybrid model as a cost-effective failover option. You’ll get award-winning McAfee anti-malware protection and comprehensive web filtering with either option. Some organizations even include McAfee Web Protection as an additional layer of anti-malware to their existing solution. Proactive, behavioral analysis that opens content in real time for deep inspection—As the number one-rated malware protection solution, McAfee Web Protection uses a patent-pending approach to behavioral analysis. By scanning a web page’s active content, emulating and understanding its behavior, and predicting its intent, McAfee Web Protection proactively protects against zero-day and targeted attacks as they occur. Comprehensive signature-based antivirus protection with real-time lookups—McAfee Global Threat Intelligence™ (McAfee GTI™) file reputation with real-time look-up capabilities allows McAfee technology to close the gap between virus discovery and system update protection. 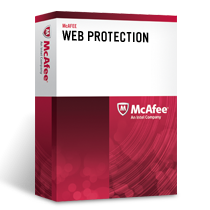 McAfee GTI with web reputation and web categorization—McAfee Web Protection delivers enhanced web filtering functionality and security through the powerful combination of both reputation and category-based filtering. McAfee GTI powers McAfee Web Protection’s web filtering technologies. McAfee GTI creates a profile of all Internet entities—websites, email, and IP addresses—based on hundreds of different attributes gathered from the massive, global data collection capabilities of McAfee Labs. It then assigns a reputation score based on the security risk posed, enabling administrators to apply very granular rules about what to permit or deny—and continues to monitor those entities over time. As the workforce becomes more distributed and mobile, the need for web filtering and protection to seamlessly transition from the office to the road becomes increasingly important. McAfee Web Protection customers can take advantage of McAfee Client Proxy, included in McAfee Web Protection, to both protect and control web access for mobile users. This integrated, gateway-aware solution intelligently directs web traffic to a McAfee Web Protection solution—either on-premises or in the cloud—for full policy enforcement. The most popular and respected security management technology, the McAfee ePO platform, is supported by McAfee Web Protection. As the single source for consolidated information, the McAfee ePO platform helps you quickly identify and mitigate problems and improve compliance management. McAfee ePO software supports detailed web reporting through the McAfee Content Security Reporter extension. McAfee Content Security Reporter enables organizations to aggregate data across the different web protection delivery platforms for a unified reporting infrastructure. It gives you the information and tools you need to understand how your organization is using the web and helps you comply with regulations, identify trends, isolate problems, document inappropriate web activity, and tailor your filtering settings to enforce your web usage policies. It combines dashboard views and drilldowns into web traffic with powerful offline processing—everything you need in one easy-to-use solution. McAfee Content Security Reporter offers an external, stand-alone report server designed to offload resource intensive data processing and storage from the existing McAfee ePO software server, enabling it to scale to meet the reporting needs of even the largest global corporations. Today’s web threats come in all shapes and sizes and are delivered in multiple ways—spam email links, advertisements, social media, and seemingly benign files and file types that your employees use every day. McAfee Web Protection has you covered from every angle. 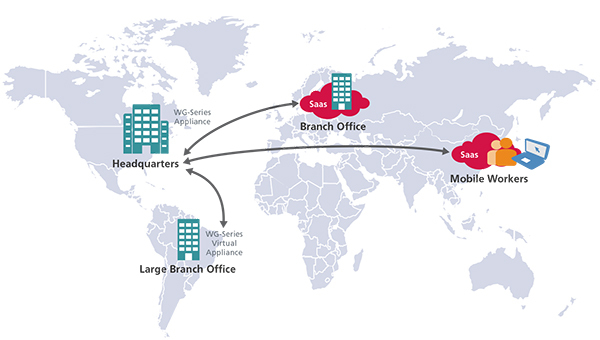 McAfee Web Protection enables ultimate deployment flexibility. Deploy on location with appliances or in a virtual environment, in the cloud, or combine options for added deployment flexibility and high availability—the choice is yours. Download the McAfee Web Protection Datasheet (PDF). For more than 1,000 users, please use our Quote Request Form!